We have a limited number of the 2010 Vancouver Olympic Maple Leaf Coins... offering on a first-come, first-served basis. These ARE Canadian legal tender, limited minting and so will have numismatic value as well as silver value. February 21, 2010 Credit cardholders, listen up: On Monday, new federal regulations will take effect, changing the relationship between you and your card issuer. The changes are part of the Credit Card Act of 2009, signed into law last May. Congress approved the legislation to end what consumer groups have called unfair and deceptive business practices. But critics say the heavier regulations will make credit cards more costly for everyone. The primary focus of the law is to eliminate unexpected fees and interest-rate hikes. Many consumers had complained to lawmakers and regulators about credit card issuers retroactively imposing interest-rate hikes on existing balances. In other words, a customer would borrow money under one set of terms — only to get an ugly surprise when the bank suddenly pushed up the interest rate. Studies estimate that by eliminating unexpected rate hikes and fees, the law could save consumers about $10 billion a year. 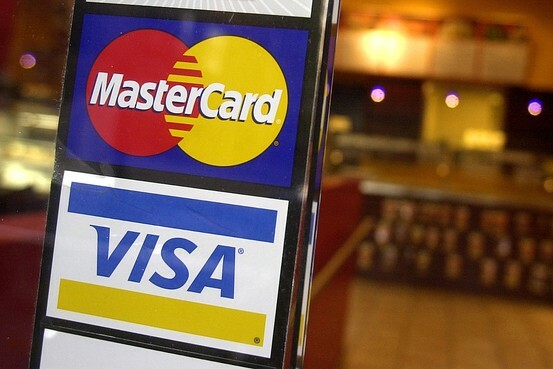 But critics say tougher rules will make credit more costly for good customers. If card issuers are barred from imposing retroactive rate hikes on existing balances, then they may try to make up the difference elsewhere. So, for example, consumers may see the return of annual fees on credit cards. Years ago, credit card issuers routinely charged annual fees. But since the 1990s, most have eliminated them. Now, they may come back. Or there could be inactivity fees imposed on customers who don't use their card very often. Interest Rates: Card issuers cannot increase interest rates during the first year on new accounts. In most cases, retroactive rate increases are prohibited. Payments and Billing: The issuer has to set the payment-due deadline on the same day each month. Fees: Consumers cannot be charged extra fees for making payments online, by phone or by mail. Disclosures: Issuers must notify cardholders of significant changes to their account terms at least 45 days before the changes take effect. If the consumer objects to the changes, he or she can close the account, or "opt out." Young People: Consumers younger than 21 need an adult co-signer to open a credit card. In addition, the card issuers cannot entice students to sign up by offering free pizzas or other gifts within 1,000 feet of a college campus. The law made some important changes. Card companies must now tell customers how long it would take to pay off the balance if they only make the minimum monthly payment. Customers can only exceed their credit limit if they agree ahead of time to pay a penalty fee. And unless a cardholder misses payments for more than 60 days, interest-rate increases will affect only new purchases, not existing balances. "There are countless fees that can be introduced and rates can go through the roof," says Curtis Arnold, founder of U.S. Citizens for Fair Credit Card Terms Inc., a consumer-advocacy group. Consider the new offer from Citigroup Inc. The bank will give cardholders a credit of 10% on their total interest charge if they pay on time. That sounds enticing, except that if you don't pay on time, your interest rate is 29%. The new regulations, dubbed the Credit Card Accountability Responsibility and Disclosure Act of 2009, couldn't come at a worse time for banks, which have been trying to rebuild balance sheets hit hard by the collapse of the housing bubble and the recession. Now, their credit-card operations are getting pounded by a downturn in spending and sharply higher defaults as unemployed Americans and other cash-strapped customers stop paying their debts. Last year, Bank of America Corp. and J.P. Morgan Chase & Co. suffered combined net losses of $7.8 billion in their credit-card operations, and this year will bring more red ink unless there is a miracle rebound. The banks could be hurt further as consumers try to clean up their finances, especially high-cost credit card debt. The average American was running a credit-card balance of just over $5,400 at the end of 2009, down about $200 from five years ago, according to TransUnion, a Chicago-based firm that tracks credit data. In such an environment, consumers may push back against new card fees or jump to a rival issuer determined to compete by keeping fees low or nonexistent. All this represents a huge change from three years ago when banks were tripping over themselves to issue credit cards to just about anybody, and consumers were on a spending spree. Banks have pruned many of their more profligate cardholders, and are using higher transaction fees to raise more money from cardholders who pay their bills each month rather than run up huge balances. The biggest new tactic may be one of the oldest: raising rates. As long as credit-card companies inform you ahead of time and don't make any sudden rate changes, they are mostly free under the law to charge whatever they want. They can raise the rate on new purchases made as long as they provide 45 days notice that they are doing so. U.S. banks on average increased the interest rate on their credit cards by about two percentage points between December 2008 and July 2009, according to Pew Charitable Trusts, a nonprofit group. Some consumers say that their accounts have been hit with sudden interest-rate increases even if they haven't been late on a payment. Bank of America says it hasn't raised interest on credit-card accounts since the law was passed last spring, except in the case where a cardholder has repeatedly paid late. In a statement, Citigroup said: "We understand that customers don't like price increases, especially in difficult economic times. However, these actions are necessary given the doubling of credit card losses across the industry from customers not paying back their loans and regulatory changes that eliminate re-pricing for that risk." Card companies also plan to collect more interest by switching customers to variable-rate cards from fixed-rate cards. Variable rates, which are linked to an index like the prime rate, are low now. But they give the companies more flexibility to collect a higher rate in the future as long as they alert customers to the terms now. Many card companies have already sent out notices that change the terms of the card contract to a higher or variable rate. Cardholders should expect to see more fees for extra services, such as requesting a year-end itemization of all your purchases, paper statements or getting extended warranties on purchases. "You're going to see a lot more tricks in terms of fees," said Robert Manning, author of "Credit Card Nation" and founder of the Responsible Debt Relief Institute.Banks already are reaping more fees on overseas transactions. Not only are they raising foreign-exchange transaction fees—the cost customers pay for purchases made in foreign currencies—but they are expanding the definition of what qualifies as a foreign transaction. American Express Co., which is known for its lucrative rewards programs, recently added new fees to its co-branded Hilton Hotels, Starwood Hotels and Delta Air Lines cards. Cardholders who pay late will lose their rewards points. They can reinstate them to their accounts if they pay a $29 fee. An American Express spokeswoman said the fees are consistent with policies on its other cards and is aimed at encouraging cardholders to pay their bills on time. For new customers, the days of 0% teaser rates and no-annual-fee boasts are dwindling. After cutting back substantially on mail offers, card companies are once again trying to woo new cardholders. But this time around, the avalanche of pitches are for cards that have annual fees or balance-transfer fees as high as 5% of the balance. Avoiding such fees is sure to get trickier. Only about 20% of U.S. credit cards currently have an annual fee, according to industry statistics. But that number will likely rise because most direct-mail card offers are for premium cards loaded with reward programs—but also fees. Plain-vanilla cards that don't have any annual fees (or rewards programs) represented just 11% of mail offers in the fourth quarter, according to Mintel Comperemedia, which tracks credit-card mail offers. J.P. Morgan's Chase card unit and American Express are among those that have recently introduced new cards with annual fees. Consumers can fight back against some of the industry's tactics. You only need one or two credit cards that are widely accepted. So it can make sense consolidating debt on the card that has the lowest interest rate, assuming it makes sense after taking into account the balance-transfer fee. True, shedding cards can hurt your credit score. But John Ulzheimer of Credit.com has a rule of thumb to preserve it while closing accounts: If you are able to keep your overall "credit utilization" on your cards—the amount of credit used as a percentage of your overall available credit—below 10% then closing accounts to avoid paying extra fees could make sense, he said. So use the card or lose it because there may be a price to pay for inactivity. Fifth Third Bancorp is charging customers $19 if they don't use their credit card in a year. Bob Depweg, who owns a security-consulting firm in the Los Angeles area, intends to keep playing hardball in order to what he wants out of his credit-card companies. Since the law was passed by Congress, he says he has successfully convinced American Express to drop its annual fee on his card by threatening to take his business elsewhere. And when Citi raised the interest rate on his wife's credit card to 29.9% from 14%, he closed the account. Regulations going into effect later this year will place even more constraints on credit-card companies. Starting Aug. 20, card companies will be required to review a customer's interest rate every six months. Consumers will have the right to tell a credit-card company that they don't accept a change of terms in their card agreement. The company will then be required to close the account and allow the customer to pay off the balance under the old terms. Consumers who carry a balance may want to steer clear of retail cards, which woo customers with discounts. The money you save in the beginning could be eclipsed by the higher rates these cards typically charge as you pay off the balance. Credit unions often offer lower rates than large banks, although some of their rewards programs are less generous than those of big banks. There are more than 8,000 credit unions in the U.S., and they tend to have pretty expansive definitions of who can join. The criterion for joining some credit unions is as simple as your Zip Code. Navy Federal, the nation's largest retail credit union, offers rates as low as 7.9% on a basic platinum Visa card for three million members of the Army, Navy, Air Force, and Marine Corps and their families. That compares with an interest rate as low as 11.99% on a Citibank Platinum Select MasterCard, touted as one of the cheapest rates around by Lowcards.com, a card-comparison Web site. The average rate at the end of last year was roughly 14%, according to the Federal Reserve. Besides rates, reward programs are one of the other big considerations in choosing the right card. Cash-back cards are likely to offer the best deals in the new regulatory environment since banks have been making their own reward programs less rewarding. They are shortening the expiration periods, raising redemption fees or implementing earnings caps on rewards. Although issuers have also been trimming cash-back rates in general—the standard rate today is 1% compared with 3% to 5% a few years ago—consumers can still earn higher rates by shopping in certain categories, such as gas or groceries. "For the average person, if you're going to do a loyalty rewards program, simple is best," said Mr. Manning of the Responsible Debt Relief Institute. "Take the cash back." SG&S: With the high volatility in the precious metals market this past week, I thought I would provide you with some good resources to help you understand what this has been all about, and what forces are impacting the price of precious metals right now. Larry Edelson - Financial Advisor, Weiss Research & Uncommon Wisdom Publisher. Notes: Larry talks about how the markets are all in 'chop city', which means that when they are moving up and down quite violently they have a 'tendency to chop up short term traders with a lot of losses and a lot of sideways action'. He says this is due to the fact that many of the important cycles are now in a transition phase; indicating that the next big move, while certainly around the corner, is just not yet here yet. So all the major markets-all of them-- are floundering and swinging wildly trying to find their next positioning for their next big moves. This market could continue to be choppy for another 4 weeks. He believes that gold on the short term will hold above its floor position swinging between the $1060 mark and the $1160 range…with wild swings. On the other hand, if it breaks through the support level of $1000, there will be no long term trend change. He is still very bullish on gold. On the flip side there is mounting evidence the gold will hold its own, and rise above the $1160 range and take off again. As for the dollar, it's been 'rallying' lately because of the imminent threat of sovereign debt default in Greece, Italy, Spain & Portugal, which are valid concerns. So many European countries holding these currencies are being driven into the dollar… pushing it higher. However, the long term trend for the dollar is substantially lower. So this short-term rally for the dollar is not so much of a real 'rally' in the strength of the dollar, bur a reflection of the weakness of other world fiat currencies. Notes: The Big Commercial Bank Shorts (i.e. JP Morgan) in silver have begun covering their short positions in the last few weeks. They have reduced their net short position by about 20,000 contracts (100 million ounces). This is the largest 2 week decline in the net short position in 2 years and represents about 80% of the total short position. The good news, is that it's really improved the situation; they've liquidated just about as much of the technical accounts as they can liquidate. It's a very exciting development, and very encouraging because while painful, when they are done, they are unlikely to short again, paving the way for a price explosion. "Silver is not money, it is Super Money, a kind of money that's different than any of us has ever experienced. It's sort of like there is ordinary man, but then there is Superman, who can bend steel in his bare hands, has x-ray vision and can leap tall buildings in a single bound. The main characteristic behind Super Money is that it is outside any government's edict. The value isn't based on what a government says. Simply stated, there is less silver available as money or investment to the world's citizens than at any point in history. Silver's rarity is unlikely to change in the relative near future. And remember - rarity is the first determinate of value. As long as there are far more efficient mediums of exchange, like cash and electronic payments, silver or gold can't function as a realistic medium of exchange. This is Gresham's Law ; bad money will drive good money out of circulation. Here's a corollary to that law; Super Money drives itself out of circulation. As people start to realize the great difference that exists between money and Super Money, more demand for Super Money is certain. Silver, more than gold, is the true Super Money. That's because, as time has evolved, there is less of it, relative to total world population. There is less above ground silver bullion in the world than there is gold bullion. Due to relentless industrial consumption over the past 70 years, there is 90% less silver bullion in the world than there was back then. This is something that cannot be said of gold. Super Money is money that can't be created at will; it only comes from blood, sweat and tears, and at great expense. It is money that can't become worthless. It is money that can be passed to future generations without fear of what the future may hold. It is money whose value will be determined by the collective judgment of the world's citizens. One of the main factors that guarantees that silver is the Super Money of the present and future is how few people are aware of the facts surrounding silver. As those facts become increasingly known, the demand for silver must grow. The next time someone tells you that silver is money, please correct them. Let them know it is Super Money, and make sure you own as much as you can." Notes: John talks about what he considers to be the final death throes of paper currency market. On gold detractors: There is a lot of angst among mainstream commentators fearing a drop of $300 or worse… these are the same individuals trying to frighten the public with prophecies of falls in the gold price. Despite this ongoing aggravation John is even more bullish on the prospects for gold than he was a year ago. On how price affects psychology: This is a classic example of where gold has moved nicely higher but people are still afraid. Psychology is a big part of the arsenal of the anti-gold group. Price action creates commentary and if you can knock gold value you can come up with all sorts of reasons that are false which does keep people away from the metals. He says, "I think that's part of the plan". He says, "I still have the strong feeling that the vast majority of people have no clue about gold and aren't aware that gold is experiencing an historic bull market with much, much further to go. What we have seen today is merely a prelude to the appreciation we are going to see in future years which is going to greatly exceed what we have seen today. " On Gold re-establishing itself as money: If you go back and look throughout 6000 years history, gold has always been the mainstream currency . It always tends to come back and re-establish itself when fiat money founders or comes under suspicion. We're in a period right now with a lot of debt problems, and sovereign debt is becoming strongly suspect (TP Notes: with just this past week several European countries in danger of default having a dramatic volatile affect on the market). I believe gold is really going to come back to the forefront, because people aren't going to be able to trust any paper currency on this planet. Parting shots: Most of the experts are saying this: Use this short term down-trend to buy as much as you can.